Preparation is the enemy of failure. When you approach a designer to build your site and you’ve got all your ducks in a row, you are most assuredly going to enjoy a smooth ride down the road of your Web Design Process. Do I have the pages mapped out ? Do I want my designer to map out my site for me? How do I want to label my page navigation? Do I have all my content written for the pages I will need? Do I have photos and graphics that my designer can use? What colors do I want to use? Do I need any special features such as a database to store form information or photo gallery to highlight my work? The factors above are just a few of the items that are included in any web site development. Some of the things you will consider are based on your personal opinion and the vision you have for your site. 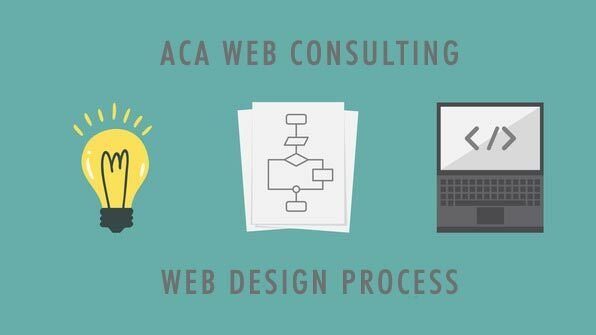 The technical aspects, such as content development, navigational architecture (site labels and structure) etc., are all services offered by ACA Web Consulting. But knowing ahead of time what you can do to prepare, what you have time to do and what services you are willing to pay for will enable you to realistically approach your site development with your needs clearly defined. You’ve made contact with ACA Web Consulting by filling out the Web Site Development Guide. Once the ‘guide’ is filled out it gives me a pretty good analysis of what you want to do with your site, what you want to say to your audience, how your navigation will be labeled and the look and feel you are striving to accomplish. It also clarifies the need for specific programming as well as specialized features you may wish to include. Based on the specifics you’ve provided to me in the last stage of the process, I will calculate an estimated quote. I approach the proposal process by assessing your customized design metaphor or theme and your desired site structure combined with additional services you may require and the goal of your site. I will meticulously work to achieve a realistic end-cost to you. This is not final, but will remain fairly close to being exact if there are no changes made to the initial information you provided. An initial down payment solidifies the contract between client and ACA Web Consulting as outlined in the proposal for services. You will receive a timeline that coordinates the milestones of your web site development. If you determine that major revisions are necessary after the initial proposal is accepted, ACA Web Consulting will be happy to make those changes, but additional fees will be charged. Down payment for services are non-refundable, so please ask any questions about our working relationship prior to making your down payment. You will need to supply ACA Web Consulting with the text content, graphics and photos that you wish to be included on the site. All submitted materials should be sent via email attachment except for photos that may need to be scanned. Based on the information you have provided via email correspondence and the Web Site Development Guide, a flowchart will be created that shows you how all your pages are connected within your site. 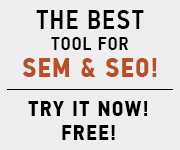 You will see the navigation labeled (the actual buttons) that link to pages within your site. The flowchart will need to be Okayed via either email correspondence or electronic signature. During this stage your design wishes combined with the type of web site you need are assessed: business, personal, non-profit, etc. Work begins on the theme that you have determined or one is used that ACA Web Consulting may have proposed. The navigation will also have been determined and the navigational labels applied to the buttons. You will receive a design screenshot to proof the layout of your site. You may choose to edit the design once, whether it is the colors or a different button look, etc. Your content and graphics are placed, and then the pages are structured to contain your message as cohesively and artistically as possible. ACA Web Consulting will communicate effectively with you during production keeping you posted with progress reports. You are welcome to view the work accomplished throughout the production process in your personal client folder loaded on our server. Test, test and then test some more. This is done to ensure your site will be seen as it was designed to be seen on the most popular browsers the internet population is using. Rushing this process is a huge mistake for anyone who desires to have their site not fall apart on your neighbor’s browser. You will then receive a final review of your site on my server, give your official Okay and your site is then published to your host under your domain. Request a FREE quote today and receive an affordable proposal for your customized web design project.